I am getting lemon cucs, but not a ton of them yet. I ended up going to the farmers market and buying 7 lbs of cucs. 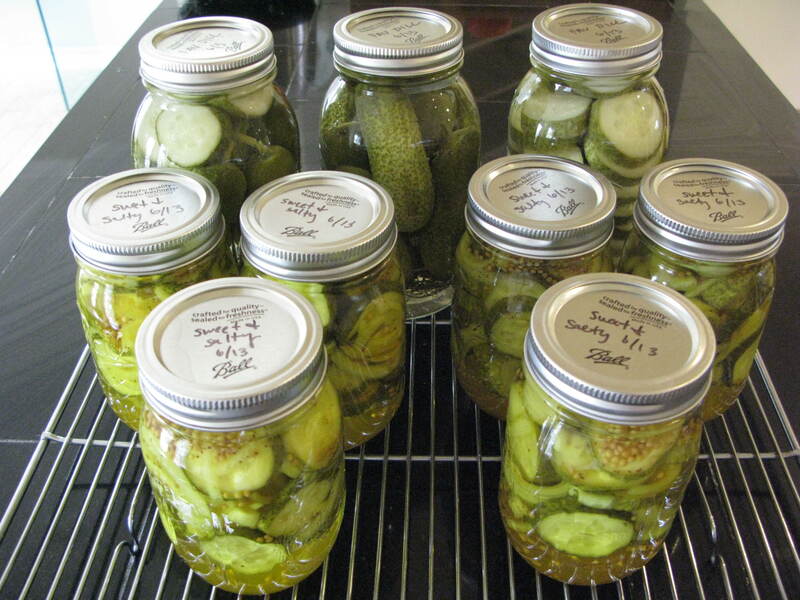 I made 3 quarts of dill pickles and 6 pints of my favorite sweet and salty pickles. The later is my own accidental recipe.